KNOXVILLE, Tenn. (WATE) - A little over an hour after Tennessee athletic director Phillip Fulmer released a statement confirming men's basketball coach Rick Barnes would remain at Tennessee rather than leaving for UCLA, a report surfaced regarding the Lady Vols coaching vacancy. ESPN's Chris Low reported Monday night that former Lady Vols national champion Kellie Harper will be named the next women's basketball coach at Tennessee. The news was first reported by Fox Sports Knoxville. Harper will replace Holly Warlick, who was fired on March 27 after seven seasons. Harper played for the Lady Vols when Warlick was an assistant under Pat Summitt. 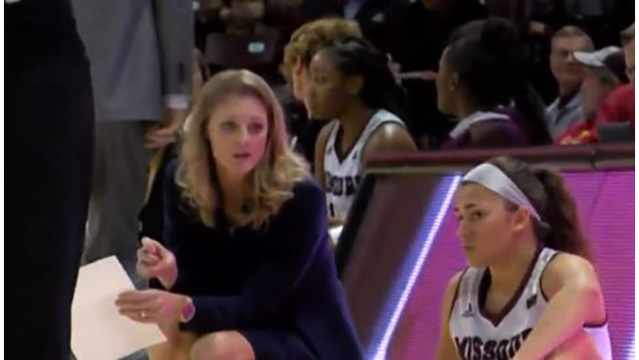 The Sparta, Tennessee native led Missouri State to the Sweet 16 this season, her sixth with the program. Harper, who was Kellie Jolly when she won three consecutive NCAA titles with Tennessee in 1996, '97 and '98, began her coaching career in 2000 as an assistant at Auburn and then Chattanooga. She became head coach at Western Carolina in 2004, leading the program to a school record 97 wins in five seasons. She moved to N.C. State in 2009 to replace the late Kay Yow but did not reach expectations. In four seasons, she only had one trip to the NCAA Tournament and that ended in the first round. Harper's career took a turn in the right direction at Missouri State. She is 285-208 as a head coach. including a 118-79 mark in six seasons with the Lady Bears. Her husband, Jon, served on her coaching staff at Western Carolina, North Carolina State, and Missouri State.